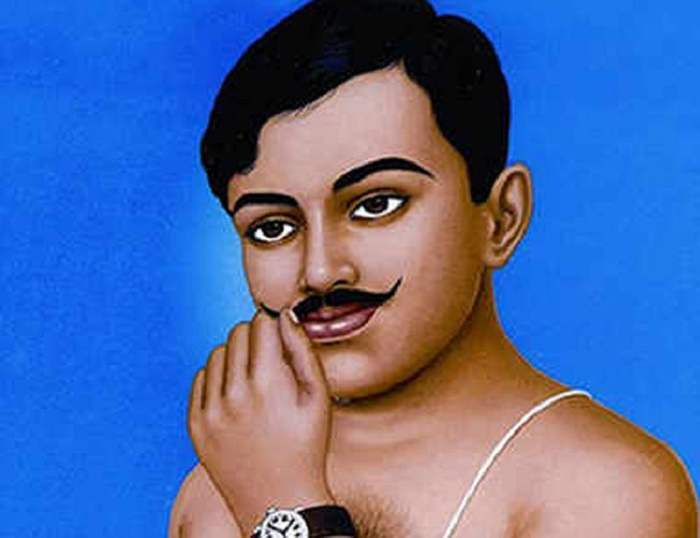 Today India Celebrates Chandra Shekhar Azad’s birth anniversary as PM Narendra Modi acknowledged this day in his tweet. He said, “On his birth anniversary, my tributes to the great Chandra Shekhar Azad. A brave son of Bharat Mata, he sacrificed himself so that his fellow citizens get freedom from colonialism. Generations of Indians are inspired by his courage”. 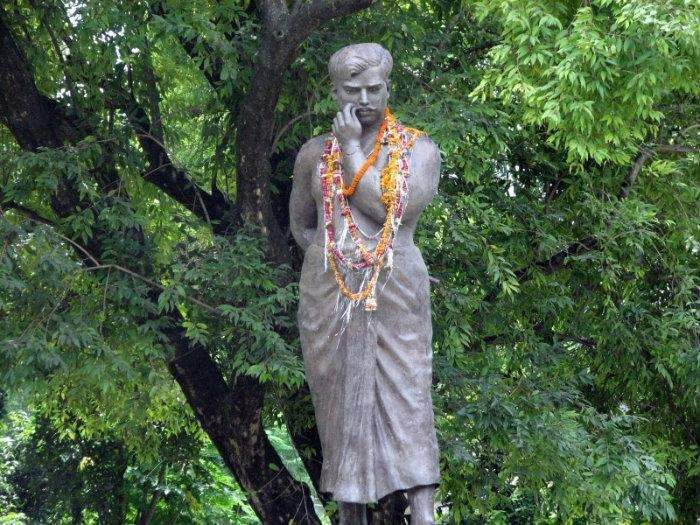 Chandra Shekhar Azad‘s real name is Chandrashekhar Tiwari Born On 23 July 1906 in Bhavra (is a town and a Nagar panchayat in Alirajpur district in the state of Madhya Pradesh, India.) played an important role in Independent IndiaMovement along with Shaheed Bhagat Singh and Raj Guru. After the death of Ram Prasad Bismil (Founder of Hindustan Republican Association), He revamped this organization under new name i.e. Hindustan Socialist Republican Army (HSRA). Place Of Birth: Bhavra, Alirajpur, MP. Died: 27 February 1931 (aged 24) Allahabad, United Provinces, British India. Parents: Pandit Sita Ram Tiwari (father) and Jagrani Devi (mother). Organization: Hindustan Republican Association (later Hindustan Socialist Republican Association). Memorial: Chandrashekhar Azad Memorial (Shahid Smarak), Orchha, Tikamgarh, Madhya Pradesh. Azad was found of wrestling and swimming from his early days as he was born in bhavra area and grew with Bhils who inhabited the area. Azad was very ardent about archery and javelin throwing which does reflect on the arousing physique he developed. He was the follower of the Lord Hanuman and recite “Hanuman Chalisa” as part of his routine. Azad was average in studies as he completed his graduation in Sanskrit Pathashala in Varanasi. Azad came across various nationalists when he was in Benaras as he wanted to dedicate his life to this country as it reflects on his famous quote as above. Azad met Manmathnath Gupta, who introduced him to Ram Prasad Bismil who had formed the Hindustan Republican Association (HRA), a revolutionary organization as he became violent and aggressive because of suspension of Non-cooperation movement by Gandhiji in 1922. His blood boils whenever he sees a massacre like Jallianwallah Bagh in 1919 and this peaceful cooperation by Gandhiji got suspended by British India. Bismil was very impressed by Azad and his Viable Physique and will to do anything for his country. Therefore, He became an active member of HSRA and involved in various robberies activities to raise funds for his organization e.g. Kakori Train Robbery of 1925. To take revenge of the killing of Lala Lajpat Rai, He was involved in the shooting of J. P. Saunders at Lahore in 1928. After the death of Bismil (Founder of The Hindustan Republican Association) along with Prasad, Ashfaqulla Khan, Thakur Roshan Singh and Rajendra Nath Lahiri for their participation, Azad re-established HRA with famous revolutionaries like Sheo Verma and Mahaveer Singh. 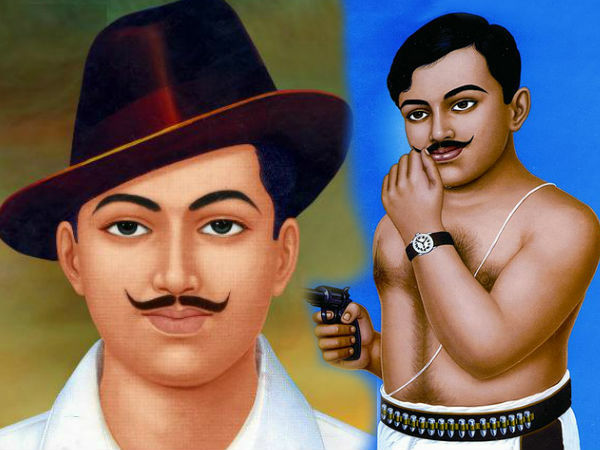 In September 1928, Azad Revamped HRA As HSRA With Bhagat Singh. Primary Goal for their organization was to Gain independence for India, Therefore they started the Indian Freedom Struggle movement. Insights of HSRA was described by fellow member Manmath Nath Gupt in his book “History of the Indian Revolutionary Movement” where he also penned down the biography of Chandra Shekhar Azad. Azad became wanted revolutionists by Britishers because of the waves he created at that time and wanted it to stop, Therefor he became the victim of an Unknown informant to police of his location. Azad died at Alfred Park in Allahabad on 27 February 1931. Surrounded by Policemen as he was covering for Sukhdev Raj to save him from getting shot and in the process, Azad killed 3 policemen and wounded many other but couldn’t save himself from getting wounded. After a long shootout, holding true to his pledge to not to capture alive, Therefore he shot himself dead with his last bullet. It is also alleged that the unknown informant was Pandit Jawahar Lal Nehru, who was not in favor of revolutionary ideas of HSRA. He was fond of Wrestling, Swimming, and Archery. After independence, to commemorate the bravery of Chandrashekhar Azad, Alfred Park in Allahabad was renamed Chandrashekhar Azad Park. The life of Chander Shekar Azad was depicted in Bollywood Movie “Rang De Basanti” in 2006. Azad was potrayed by Amir khan. He pledged it earlier to not get caught alive in the hands of Britishers, He will kill himself Instead. His mother, Jagrani Devi Tiwari, was the third wife of Sitaram Tiwari, whose previous wives had died young.